This Is What Dad Randhir Kapoor Has To Say About Daughter Kareena's Pregnancy Rumours! While Riteish and Genelia Deshmukh were blessed with a baby boy yesterday, another celeb couple that might be in the family way, say reports, is Kareena Kapoor and Saif Ali Khan. If rumours are to be believed, Kareena is currently three and a half months pregnant and she was vacationing in London with hubby Saif to relax and have a smooth first trimester. Reports even say that Kareena and Saif visited a pre-natal clinic in London to see that everything was fine. 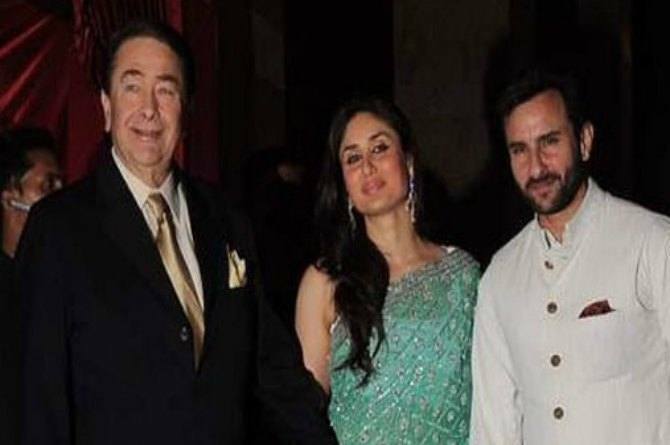 While neither the Kareena nor Saif have confirmed the pregnancy, dad Randhir Kapoor has come out in the open and said that though he hasn't been informed about it, the time is right for Kareena to have a baby. “Well, they haven’t told me yet, so I have no clue, but I hope it’s true. It’s high time that they had a baby,” he said as he spoke to a leading Mumbai daily. Now we all know that Dad Randhir Kapoor is really close to his daughter and also protective of them. Whenever he's free, he makes it a point to spend time with his two adorable daughters Lolo(Karisma) and Bebo(Kareena). Even Kareena had come out in the open and spoken about her motherhood plans in March this year. Kareena had confirmed to a women's magazine that she has had motherhood in her mind. “We do want to have kids but don’t know exactly when it will happen. It would be a pleasure to experience motherhood,” she told Femina. She also said that though she's not a mother yet, it is something that would come natural to me. "I am not a second mother to Saif’s kids but I am definitely their friend, more so there is also Samiara and Kiaan so I am very comfortable around kids. It is something that comes naturally I guess…," she said. Adam Levine and Behati Prinsloo excited to become parents and they want a big family! OMG! Karisma Kapoor’s daughter Samaira has grown almost as tall as her!